Daniel is an Associate and lawyer who provides specialist advice on resolving commercial property disputes and other commercial disputes. Daniel deals with a range of commercial property disputes. He regularly advises both SME’s and large national organisations on all aspects of property litigation. This includes obligations during the course of a lease, (breach of covenant including repair, alternations, insurance, rent, user etc.) and issues arising when a lease ends including dilapidations, renewal (contested or otherwise) of protected business tenancies, possession and rent recovery. He also advises on a broad range of other property issues including rights of way, nuisance and disputes between joint owners. Daniel advises businesses and individuals on disputes including breaches of contract and professional negligence claims. Daniel has a particular interest in advising on claims involving anything with an engine. In his spare time Daniel can usually be found tinkering with or driving classic cars. Daniel is also a school governor and Chair of the Nottinghamshire Law Society international Committee. 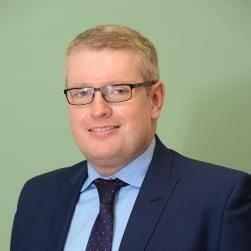 He joined Actons in 2017 from Fraser Brown having qualified as a solicitor in 2008.